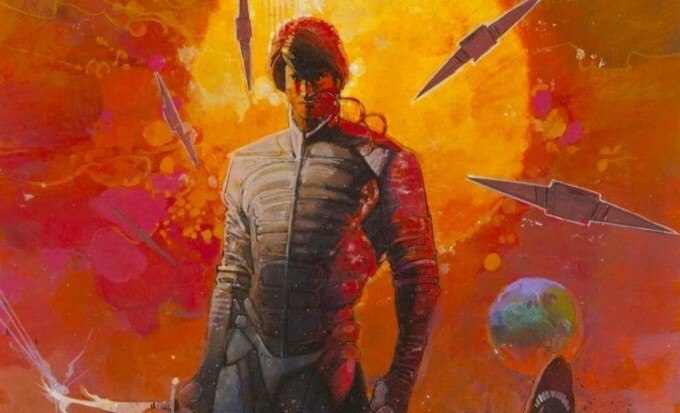 The News on Denis Villeneuve’s “DUNE” reboot is Spicy! Today the good folks at DarkHorizons.com broke the news that filming has begun on Denis Villeneuve’s “Dune” reboot in Budapest, Hungary and Jordan. The cast of the new Dune films continues to grow with Timothee Chalamet cast as Paul Atreides, Rebecca Ferguson as Lady Jessica, Stellan Skarsgard as Baron Harkonnen, David Dastmalchian is Harkonnen’s advisor Piter De Vries, and Charlotte Rampling as Reverend Mother Mohiam. Also onboard is Jason Momoa as Duncan Idaho, Dave Bautista is Glossu 'Beast' Rabban, Josh Brolin as Warmaster and mentor Gurney Halleck, Oscar Isaac as Duke Leto Atreides (Pauls Father), Javier Bardem as the Fremen leader Stilgar, Chang Chen as Dr. Wellington Yueh, and Zendaya as Chani (Pauls sweetheart). The newest addition to the cast is Stephen Henderson ("Lincoln," "Lady Bird," "Fences," and TV's "Fear the Walking Dead" who scored a role yet to be announced. I am hoping Stephen Henderson is cast as the Padishah Emperor of the known Universe Emperor Shaddam IV or maybe Henderson will be Thufir Hawat a Mentat and Master of Assassins. I am eager to see who will get the role of Shadout Mapes, Feyd-Rautha Rabban, Princess Irulan, and Liet Kynes. Also, composer Hans Zimmer has been chosen to write the score of the film. Some of Hans Zimmer's soundtracks are "Gladiator," "Inception," "Dunkirk," "Interstellar," "Bladerunner 2049," "The Dark Knight," "Iron Man," "Black Hawk Down," and so many others. Hans is credited with well over a hundred projects on IMDB. This news is absolutely music to my ears. I love Zimmer's work and am delighted to see him working with Villeneuve again. Zimmer's soundtrack for Bladerunner 2049 was awesome, and I am sure Dune will be no different. Tackling cinematography will be Oscar nominee Greig Fraser whose stellar work includes "Rogue One: A Star Wars Story," "Zero Dark Thirty," "Foxcatcher," "Vice," and "Let Me In" to name a few. Joe Walker ("Bladerunner 2049," "Arrival," "12 Years a Slave," "Sicario," and "Widows") has been named as editor. Three-time Oscar-nominated costume designer Jacqueline West (“The Revenant,” “The Curious Case of Benjamin Button,” “Quills”) and co-costume designer Bob Morgan will be handling the futuristic sci-fi wardrobe. Stunt coordinator Tom Struthers (“The Dark Knight” trilogy, “Inception”) is also on board. Villeneuve is also reteaming with two-time Oscar-nominated production designer Patrice Vermette (“Arrival,” “Sicario,” “The Young Victoria”), two-time Oscar-nominated editor Joe Walker (“Blade Runner 2049,” “Arrival,” “12 Years a Slave”), two-time Oscar-winning visual effects supervisor Paul Lambert (“First Man,” “Blade Runner 2049”), and Oscar-winning special effects supervisor Gerd Nefzer (“Blade Runner 2049”). 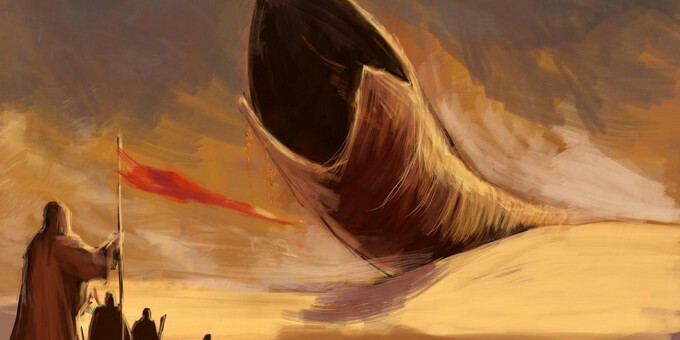 "A mythic and emotionally charged hero’s journey, “Dune,” tells the story of Paul Atreides, a brilliant and gifted young man born into a great destiny beyond his understanding, who must travel to the most dangerous planet in the universe to ensure the future of his family and his people. As malevolent forces explode into conflict over the planet’s exclusive supply of the most precious resource in existence—a commodity capable of unlocking humanity’s greatest potential—only those who can conquer their fear will survive." 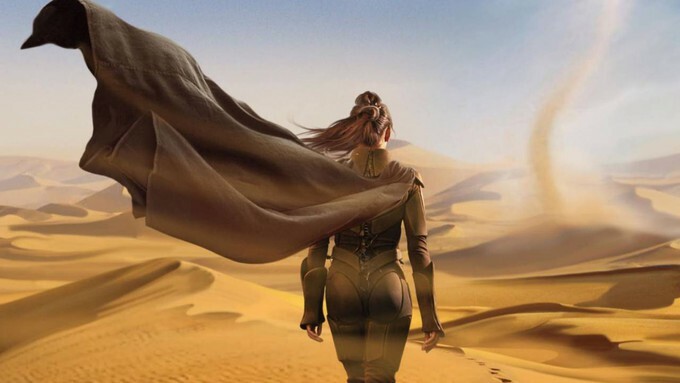 The new DUNE film is set to hit theaters around the world on November 20th, 2020. I can not wait. Villeneuve has gathered quite an impressive group of talent for the project and does not seem to be slowing down. Since they are filming in Jordan, it leads one to believe Jordan's deserts will be Arakis. It'll be interesting because JJ Abrams' Star Wars Episode 9 was also shot in Jordan's deserts now I know there's a whole lot of desert out there, but I am curious if we will see some of the same rock formations. What do the rest of you blue-eyed spicy geeks think of the news?